The benefits of canary seed are manifold: it helps maintain a balanced weight, improves the functioning of organs such as the heart, liver, kidneys, and pancreas, improves the circulatory system, reduces blood pressure, combats constipation and is anticarcinogenic. It is known that birdseed has enzymes that quickly remove body fat, not only in the form but also in veins, heart and arteries. Canary seed can be incorporated into the diet as a way to include a healthy food that delivers multiple properties to our body. One of the most interesting characteristics of the birdseed is that it is a food that has no gluten so that celiacs can also consume it. Another advantage is its high protein content, which makes it a viable and beneficial food for this type of patient. This is why milk, flour and other baked goods can be made safe and suitable for the consumption of all kinds of people. The birdseed has 10 grams of protein for every five teaspoons. This corresponds to 20% of the recommended amount of protein daily. Therefore it is equated in protein quality to the meat, but without leaving any toxic residue in the body. Among the other benefits of canary seed, it contains is arginine, an essential amino acid that must be consumed in the diet, since its function in the body is to reduce the healing time of wounds, the rapid repair of damaged tissues and help maintain blood pressure low, especially in hypertensive patients. The birdseed has enzymes beneficial for the detoxification of several organs, including the main purifiers of the organism: kidney and liver. Quickly, safely and effectively. Containing lipase among its enzymes, which is responsible for eliminating excess fats in the body. In addition, its high protein load increases the feeling of fullness, making it an excellent supplement for low-calorie diets. Lipase sweeps the fat that surrounds muscles and also the circulatory system so that the person’s energy levels increase and exercise becomes easier. This mixture of factors is what makes canary seed an excellent partner for weight loss. Along with many benefits of canary seed, it also contains tryptophan, an important essential amino acid that helps reduce anxiety or depression by increasing serotonin levels. 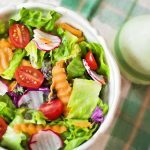 With this, the impulses to eat all day are diminished, allowing the person to have a more balanced diet that helps reduce their weight. Because of its large amount of enzymes, birdseed seeds are also used for cholesterol reduction. They help to keep the levels of fat in the body lower and therefore all the metabolic function of the organism is increased. They are ideal for diabetic patients since they help the function of pancreatic cells. With this, they increase energy and sugar levels remain more stable. That is why they are recommended for all types of patients suffering from metabolic syndromes such as diabetes, hypertension and obesity, among many others. The tryptophan present in canary seed helps reduce stress, which also controls the levels of insulin in the blood. 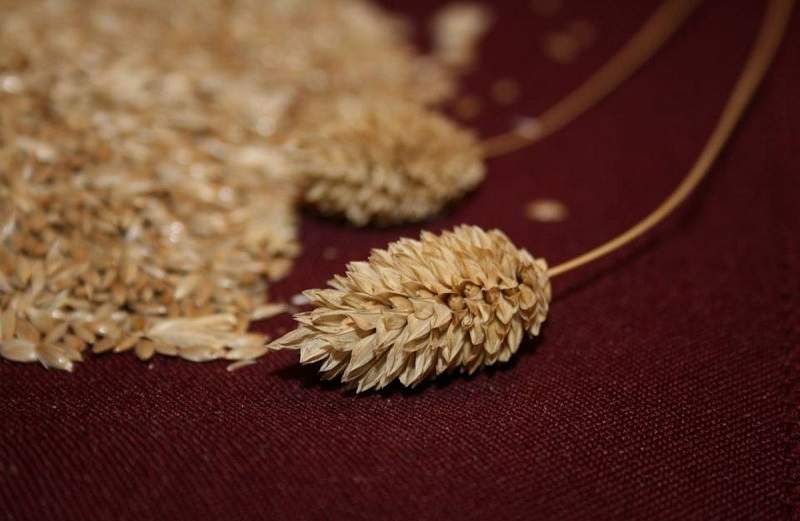 Canary seed seeds have a large number of antioxidants in their nutritional analysis. This makes them an excellent alternative to care for the skin and prevent the process of cell degradation, both external and internal in the body, delaying the action of free radicals responsible for aging. Here clearly see the great benefits of canary seed. The large amounts of enzymes present in birdseed seeds eliminate the inflammation of organs, especially the liver, pancreas and kidneys. This would help in the treatment of chronic diseases of these organs such as cirrhosis and diabetes. Canary seed seeds increase the number of hepatocytes in the liver, which helps to help in the treatment of diseases such as liver cirrhosis and also supports kidney function. By acting as an anti-inflammatory of organs such as the kidney, diuresis increases, allowing the body to better cleanse residues such as high cholesterol, arteriosclerosis, gout, hyperuricemia, among others. The canary seed has antibacterial properties, in addition to inflammation of affected organs. That is why they are very effective in the treatment of both urinary and kidney infections. In addition, they stimulate diuresis, helping to clean the urinary tract in cases of cystitis. According to a study conducted by the Federal University of Sao Paulo, Brazil, it was shown that canary seed can be used for cases of hypertension. This is due to the presence of tryptophan in its composition, which causes a reduction in stress and tension, resulting in the reduction of blood pressure. Lignans, secondary metabolites that are found in a large number of plants and seeds, such as flaxseed, have important anti-inflammatory and antioxidant effects, thus providing multiple beneficial effects for health. 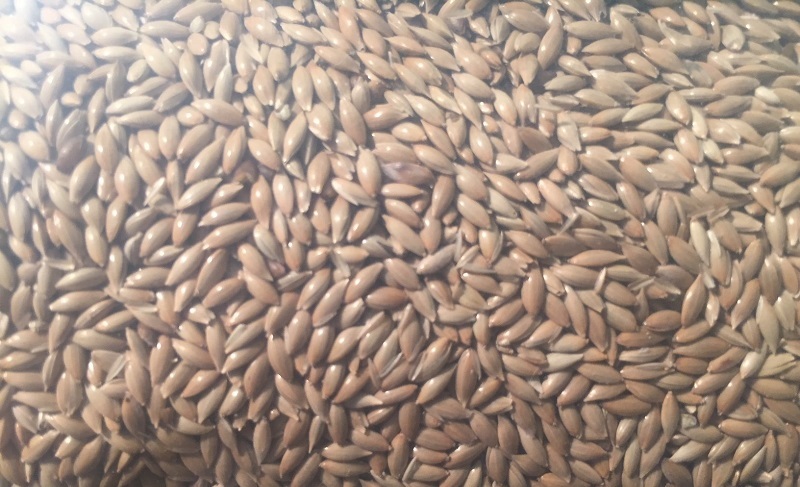 Benefits of canary seed are huge. Canary seed is an excellent source of lignans and among other effects regulate estrogen levels in women, enhancing or decreasing the presence of estrogen if necessary. For example, if a woman has low levels of estrogen, the lignans in birdseed seeds can help as a supplement. In the case of an excess of estrogen, canary seed can help reduce these indicators, thus reducing the possibility of different cancers, especially of the breast and uterus. In the case of men, seeds of birdseed do not generate changes in hormonal activity, but they maintain their benefits by preventing the formation of tumors in the prostate. This essential amino acid, which is only obtained through food, is essential for the release of serotonin, a neurotransmitter that provides pleasurable sensations, sleep and relaxation. Therefore, the consumption of canary seed seeds is very beneficial for those suffering from depression, anguish and other anxiety disorders, aggression and stress. In addition, tryptophan allows the brain to secrete melatonin, a hormone that regulates sleep cycles and controls sleep-wake, so they are very effective for insomnia. 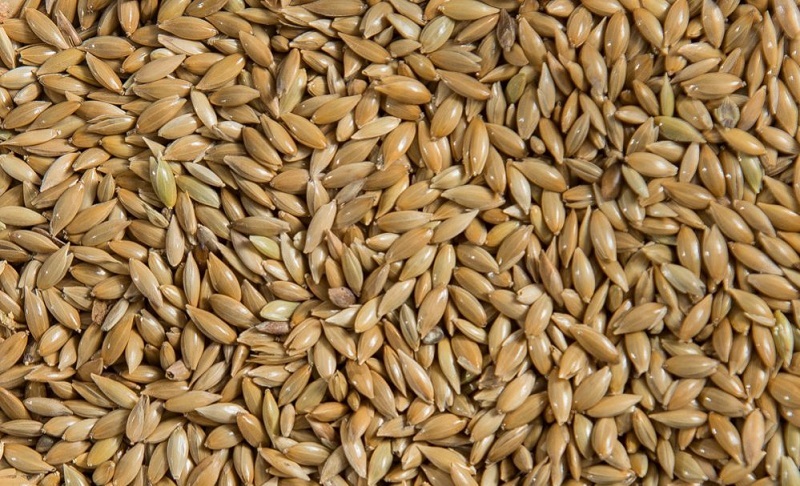 Canary seed is high in omega 3 and omega 6 polyunsaturated fatty acids. These acids are very beneficial for the body, but the body does not produce them, so it is very important to consume them. They improve cardiovascular health and prevent related diseases such as arteriosclerotic by reducing the deposits of fat that can accumulate in the walls of veins and arteries. They can even prevent the formation of clots or thrombi. Beneficial and nutritive effects are also indicated for the brain since fatty acids improve communication between neurons. This is demonstrated in a greater capacity for concentration. In addition, the fatty acids present in seeds of canary seed are useful for the prevention and reduction of the symptoms of anxiety and depression. 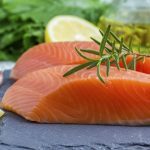 The advantage of consuming fatty acids from seeds and not fish is that it avoids the intake of toxic products that may be present in seafood, including heavy metals such as mercury. Along with many benefits of canary seed, it has no side effects and is completely safe. Canary seed seeds like most other seeds have a mild laxative effect that can help in cases of constipation, present in their mucilage. This helps the elimination of toxins in the body. To obtain the maximum natural laxative effect, it is best to mix the canary seed with other sources of fiber, such as a salad, a fruit smoothie, and juices or as part of the ingredients of wholemeal bread. 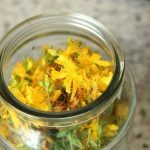 Because of its anti-inflammatory properties and the presence of fatty acids that improve blood coagulation, the canary seed is an alternative treatment in stomach ulcers, gastritis, irritable bowel, Crohn’s disease and all kinds of digestive discomfort, helping to heal and reducing the inflammation of the internal organs. The multiple properties of seeds of canary seed working together prove to be effective in the prevention of different types of cancer. Its mild laxative function improves the ability of bowel evacuation, thereby decreasing the number of toxins in the body and thus the risk of formation and proliferation of cancer cells. In addition to this, the large amount of essential fatty acids such as omega 3 improve cardiovascular health and blood flow, which helps maintain the optimal functioning of the body’s immune system. A large number of plant proteins present in seeds of canary seed such as lignans have an influence on the hormonal metabolism of the organism, which is one of the main responsible for the formation of cancers in its primary stage, such as breast cancers and colon. 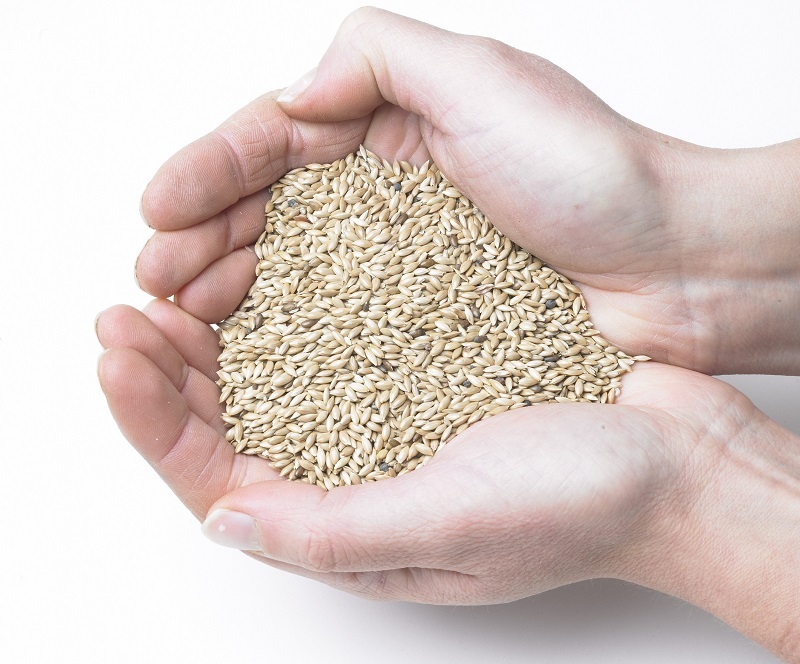 The lignans found in seeds of canary seed are excellent regulators of this hormonal function. With seeds of canary seed, it is possible to prepare a nutritious drink that replaces cow’s milk. By not containing lactose is an excellent choice for vegans or milk protein intolerant. 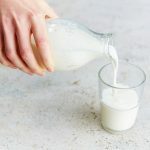 By drinking canary seed milk, the risks of inflammation and allergies in the body are reduced and it is also possible to receive a large number of beneficial effects it delivers. The canary seed contains a large amount of lipase, an enzyme that removes fat deposits from both internal organs and muscles. 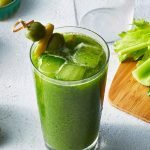 In this way, they help to improve the general tonicity of the body, especially the abdomen, where a large amount of the most harmful fat is found and related to high cholesterol. The regular consumption of canary seed reduces the retention of fat in the body and allows the best functioning of organs and muscles. Those were the best benefits of canary seed as we consume in our daily basis.